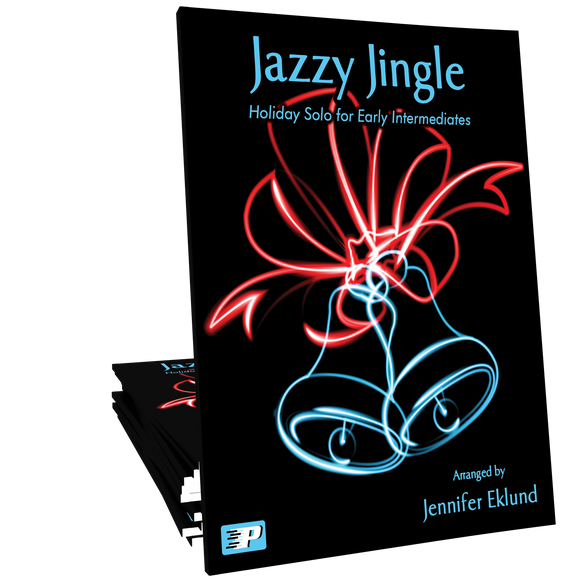 Jazzy Jingle Bells is a fresh and contemporary take on a holiday classic. 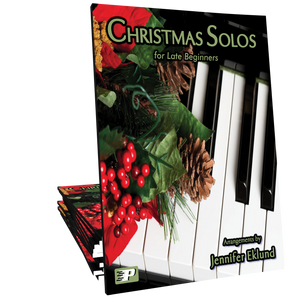 Rich harmonies and a stylized melodic line make this hand-friendly arrangement a hit for late beginners and early intermediates of all ages. Love, love, love this song. I had a few students who were struggling to get comfortable in the early intermediate repetoire. They were just struggling a little more than I expected and on a lark I gave both of them this song to help them become more comforatable with the flowing of the chords. Both students figured it out quickly and found it easy to add musicality to the piece, something they both struggled with. This is another proven winner from the Piano Pronto world! Hands down in my studio for every December from here on out. Highly recommend! This is an arrangement that helps this old familiar song have a new appeal. The jazz sounds are warm and inviting. It doesn't need to go too quickly so students can figure out the chords without feeling like it is dragging. A real winner! Children really love this song, but I had decided not to ever play it again. By combining two songs you have raised this song to a new level to keep it flowing through Christmas forever. Love the mellow sound, beautiful harmony and yet so accessible to intermediates! My students love this sophisticated jazzy arrangement. Wonderful for all ages, including adults. This mellow, jazzy piece is perfect for those picky teens who love rich harmonies and want to play something impressive. I can tell I'm going to need more copies!